I was recently sent a beautiful bracelet from Mink&Stone and decided to match it to an outfit. I actually designed the bracelet myself so I knew exactly how to style this, but I'll explain that further into this post. 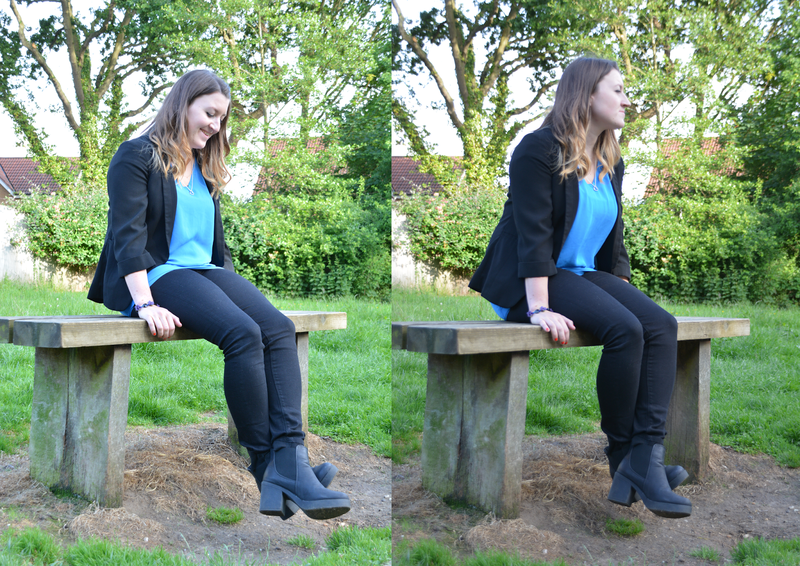 This is my first OOTD post so I apologise for my awkwardness in the photos which were kindly taken by my boyfriend. My aim was to dress smart casual in a versatile outfit that can be worn day to day or at work. 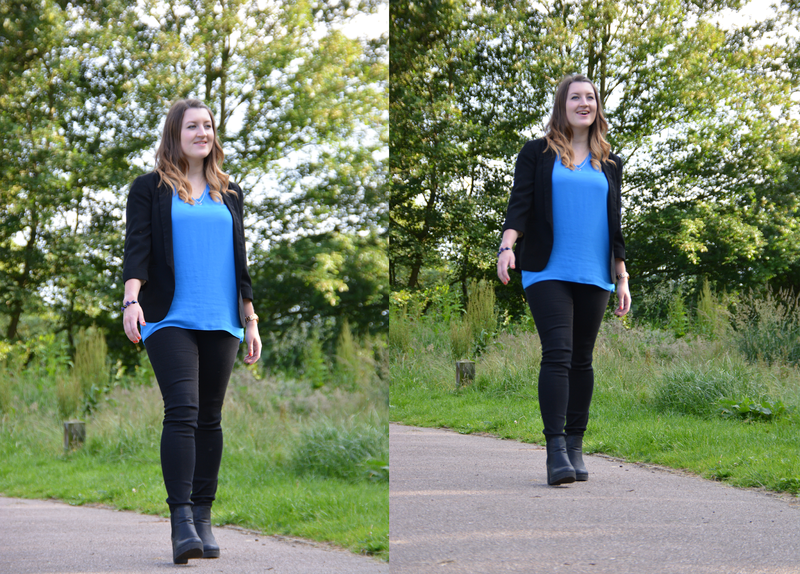 I chose a simple blue chiffon style top from Select and paired it with a black blazer from New Look. I've had this blazer for a while and think it makes a simple outfit look and feel a bit smarter. My jeans are from Asos, they are the Ridley skinny jeans in black. I have been looking for some black skinny jeans for ages. My boots are from Primark a while ago. I think they were about £12 - bargain! My rose gold watch is from Fossil. I bought it in Hollywood last year as a birthday present to myself. As I mentioned at the start of the post, I designed this gorgeous bracelet online which was then made for me by Mink&Stone. The website is really easy to use. I started by browsing the materials and choosing beads that I liked and adding them to my online 'tray'. I then clicked the design tab, chose the bracelet and assembled it together on the virtual designer. It was so easy to add and remove beads and play around with the design until it suited me. I chose to incorporate the black hearts as they will go with any outfits. 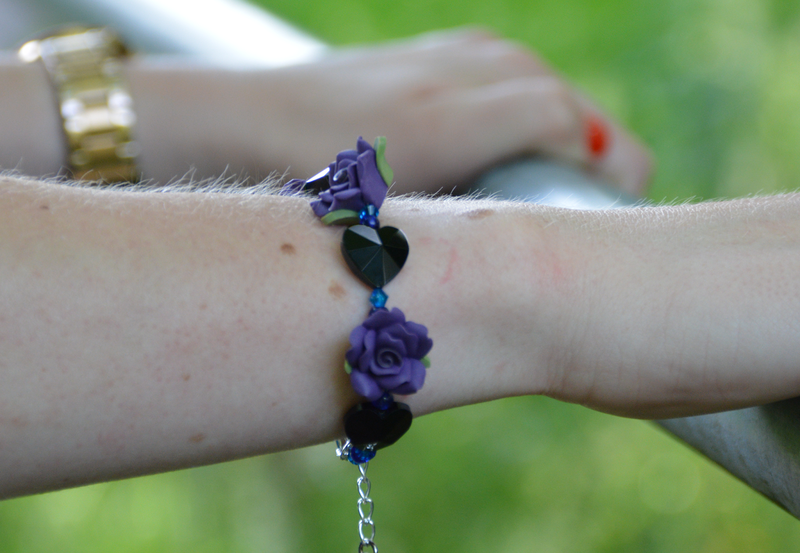 I loved the roses, and chose purple as a lot of my clothes are blue and purple which inspired the smaller beads on the bracelet. the bracelet is a very high quality and was delivered to me in no time at all. The best things about the process was when your bracelet has been created, if you leave your Twitter username they will tweet you a photo of the finished piece. I think that's a really great idea! I think it works really well with my overall outfit. What do you think? 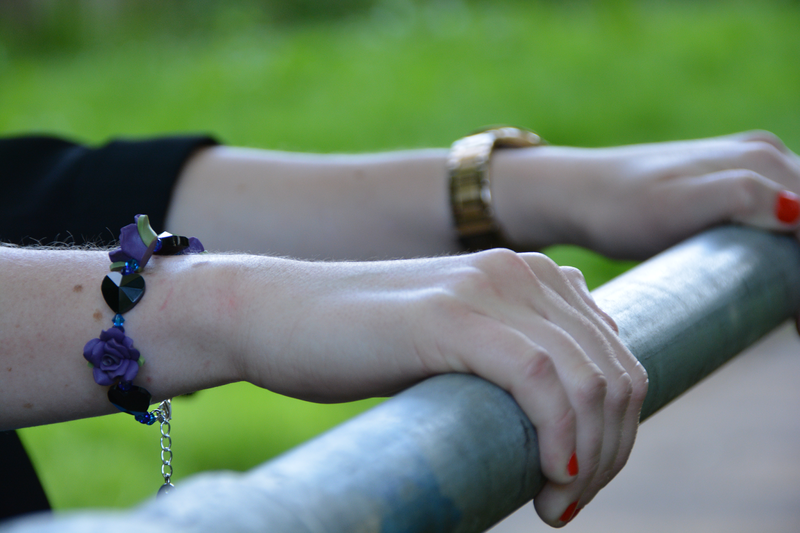 If you'd like to design your own bracelet then head over to Mink&Stone. I think it would make a great gift too! *I designed this Mink&Stone Jewellery piece free of charge in exchange for an honest review. All opinions are my own and I was not influenced in any way. Please see my disclaimer for more information.